2013-10-12 – The Brussels Enterprise Agency (BEA) has launched a call for candidates for the third year of the BSE Academy. Applications will be accepted until Saturday 30 November. A selection committee will meet in early December to sort through the candidates. The aim of the Brussels Sustainable Economy (BSE)* project, financed by the ERDF (European Regional Development Fund), is to create businesses and jobs in the environmental sectors in the Canal Area. 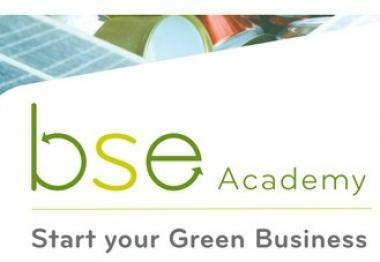 The BSE Academy was created to develop the environmental markets in the Brussels-Capital Region and create jobs of all kinds. It offers an ‘accelerator programme’, the aim being that the projects it supports should set up a pilot project. The academy’s day-to-day running is taken care of by the BEA: over a six-month period, around ten business start-ups will receive guidance and support from the BEA itself and various experts and coaches. The BSEAcademy’s aim is to ensure that by the end of the programme these start-ups have a business plan and a financial plan in place. At the programme’s closing evening in mid-June, the start-ups will each present their project to a panel of investors. Following this presentation, three prizes will be awarded by a panel of experts. The recipient of the BSE Prize wins three months of accommodation at the L’Atelier des Tanneurs business centre and a year of intensive guidance from the BEA. The Triodos Sustainable Impact Award, worth 2,500 euros, goes to the project with the greatest potential to generate a lasting impact. The winner of the Be Angels Prize gets the exclusive opportunity to pitch his or her project to a network of business angels. (*) The Brussels Sustainable Economy (BSE) project is supported by the Minister for the Environment, Energy and Urban Regeneration and the Minister for Employment, the Economy and Scientific Research of the Brussels-Capital Region.